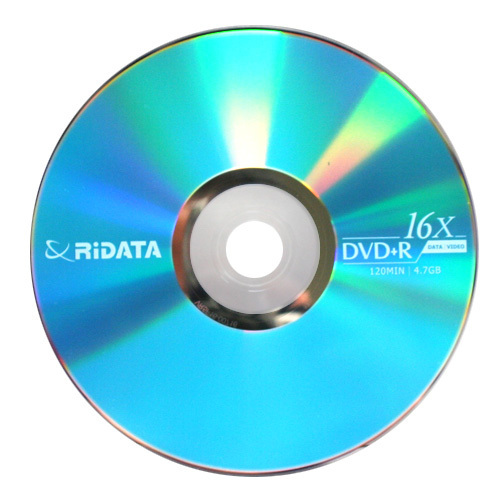 DVD+R Media is a high capacity optical disc, which is ideal for high volume data recording, archiving and playback. RiData DVD+R Media nsures high durability and reliability for a variety of recording situations, making it a versatile storage solution. Ridata DVD+R Media uses a high quality organic dye that ensures reliable recording and playback. 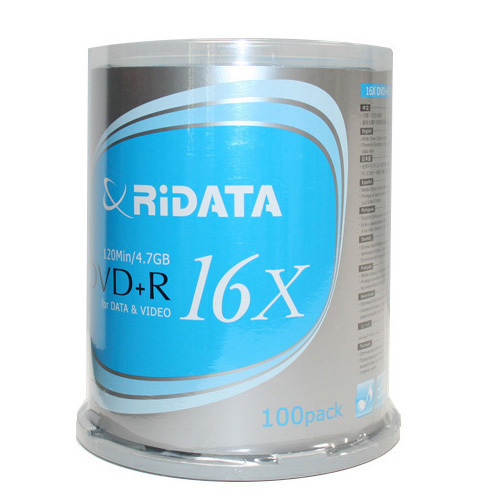 RiData 16X DVD+R media is certified for up to 16x DVD recording speeds. 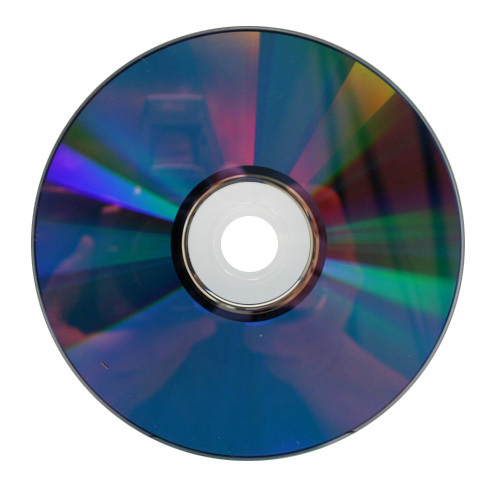 Ideal for massive archival storage, duplication, network back-up, multimedia presentations and digital video/photography editing, these DVD+R discs will prove useful for a wide array of projects. Bought 100pk, have had no problems with players detecting burned disks (with dvd-rom booktype). Only problems I have had were due to user error, highly recommend. Flawless. Burned 16x with a NEC 3540A with original firmware. 4x on HP 300N(drives max) with 3.20 fw. Playback is great. Plenty of room to write on. Bought 25 just to test. Will be ordering 100 next time. Worth the little extra $$ for quality 16x burns with no coasters.